Jeff helps successful leaders get even better by achieving positive, lasting change in behaviors for themselves and their people. He does this through large group presentations, seminars, and individual coaching designed to meet the priority needs of the organization. As a speaker, he will bring to life valuable lessons in leadership that will challenge and inspire you! He will interview every client to learn about your organization, your challenges, your people and your culture. Every keynote is tailored to the organization and target audience. As a leadership coach he helps people get even better by achieving positive and lasting changes in behaviors for themselves and their people. He uses as his foundation Marshall Goldsmith’s world-renown methodology called Stakeholder Centered Coaching . Jeff Foley helps executive and business leaders grow their businesses through expanding the leadership capacity of their people. He is an speaker, coach, and author enjoying a wide range of clients. He hails from Cincinnati, Ohio, graduated from West Point, and retired from the US Army as a Brigadier General after 32 years of service. 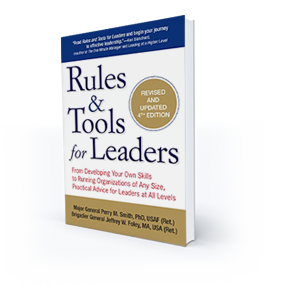 Jeff will bring to life valuable lessons in organizational leadership that will challenge and inspire you! He will interview every client to learn about your organization, your challenges, your people and your culture. Every keynote is tailored to the organization and target audience. He will help you and your team develop as a leaders ultimately resulting in the increase in the success of your organization. His presentations are based on extensive first hand experience developing leaders and leading teams in the Army ranging in size from 40 to 8000 people, combined with the best research in the industry. What behaviors need to change in your organization to achieve your most important goals? Is your management team aligned and focused on the 4-6 key initiatives that will make this year successful? Do you have a plan? These are just some of the big questions that leaders need to ask themselves. Having been an executive leader for many years, Jeff knows how critical the development of leaders is to building and sustaining high performance in organizations. "Jeff’s facilitation of the 'Values Based Decision Making' program has been invaluable to our organization - assisting every decision we make. I highly recommend this program to business leaders in any industry." Effective one-on-one coaching is a critical task for leaders at all levels. It is clearly one of the best methods to develop your people. Effective coaching inspires in others an internal drive to act ethically, without direction, to achieve goals. Effective coaching drives performance builds competence and confidence, and ultimately enhances trusting relationships. The best coaches help people find ways to make things happen as opposed to creating excuses why they can’t. BRAVE is a proven model for developing competent, confident leaders capable of decisive action. Basic leader competencies are in this army manual; are they in yours?